Barclaycard launches new cashback credit card – is it any good? Barclaycard has launched a new cashback credit card paying a flat rate of 0.25% on purchases for over five years. Can it save you money on your Christmas spending? The new deal is the first cashback credit card to hit the market since February earlier this year, according to financial information website Moneyfacts. Used carefully, a cashback credit card can be a great way to earn money back on everyday spending or one-off big purchases you might be planning to make, for example, over the upcoming festive period. Which? 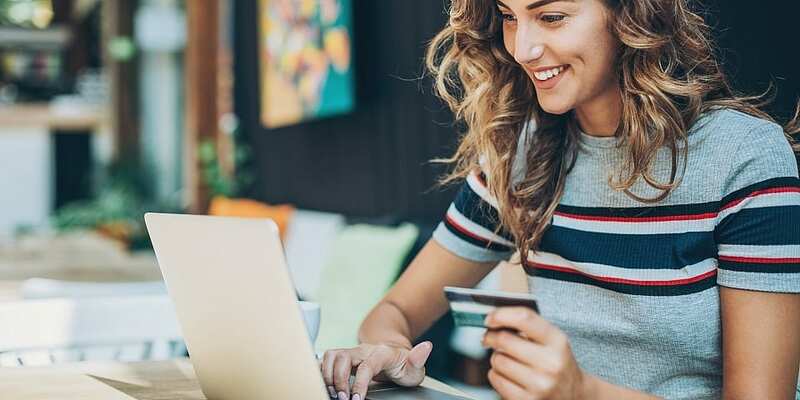 takes a look at how Barclaycard’s new deal stacks up to the competition and how much a cashback credit card could save you on your Christmas spending. The Barclaycard Platinum Cashback Plus offers 0.25% cashback on spending until 31 August 2023. The card also comes with fee-free spending abroad over the same period. You’ll need to be aged 21 or over to apply and have a personal income of at least £20,000 per year. There is no annual fee to factor in but the representative APR on the card is 21.9%. Here’s how the Barclaycard compares to other cashback credit cards on the market right now in order of cashback rate. Please note that the information in the table below is for information purposes only and does not constitute advice. Please refer to the particular terms and conditions of the savings account provider before committing to any financial products. As you can see from the table the 0.25% cashback rate on offer from the new Barclaycard card pales in comparison to the market-leading 5% rate from American Express – even if the cards limit rate to a three-month period. It’s also not as good as the Tandem Cashback Credit Card, which offers double the rate of cashback, comes with no annual fee and fee-free purchases abroad. Can a cashback credit card save you money this Christmas? Below we’ve taken a range of Christmas budgets and worked out how much you could make by putting the spending on the range of top-paying cashback credit cards. As you can see the American Express Platinum Cashback Everyday Credit Card and American Express Platinum Cashback Credit Card will offer the most cashback on Christmas spending – between £12.50 and £75 based on our range of scenarios. By contrast, the Barclaycard Platinum Cashback Visa could earn you between 63p or £3.75 in our scenarios. Use our cashback rewards calculator to help figure out which card would be the best match for what you plan to spend this year. If you’re considering using a cashback credit card to help you save there’s still time to get one in time to cover your Christmas purchases. According to Finance Expert Rachel Springall from Moneyfacts, it typically takes between seven to 10 days to receive a card in the post when applying online. Cashback credit cards are a rewarding tool if you only use them to spend money you actually have like you would with a debit card. They’re generally not very good for borrowing, with few cards offering competitive 0% deals. So when using a cashback credit card it’s important to pay off what you spend each month to avoid interest eating into your returns. Find out more in our cashback credit cards explained.